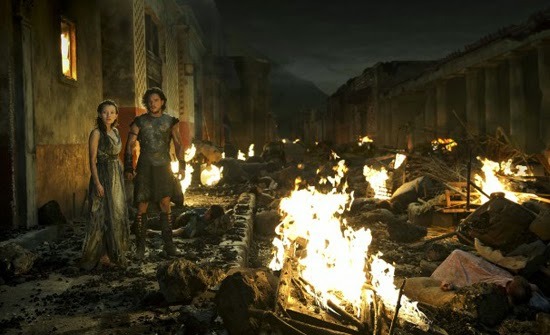 "Pompeii's summary story are about the epic story of 79 A.D, Milo who is a slave, turned invincible gladiator who finds himself in a race against time to save his true love Cassia, the beautiful daughter of a wealthy merchant who has been unwillingly betrothed to a corrupt Roman Senator. As Mount Vesuvius erupts in a torrent of blazing lava, Milo must fight his way out of the arena in order to save his beloved as the once magnificent Pompeii crumbles around him..."
My best friend invited me and my friends to join her as she grabbed the movie tickets from her cousin's company, Men's Health Magazine! 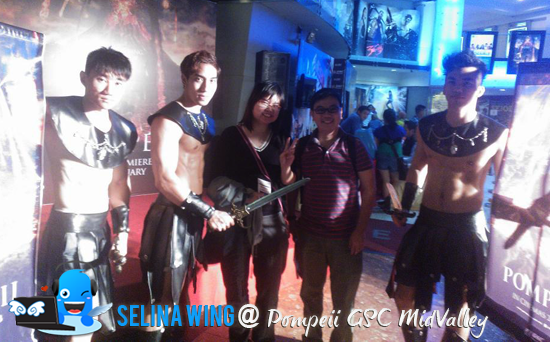 Thanks to Kimberly and her husband, we enjoyed to take photos with Pompeii models at GSC @ Mid Valley on last month, Feb. They are cool and handsome. We, first time to get know the history about Pompeii, but the romantic story are unrelated to Pompeii history. 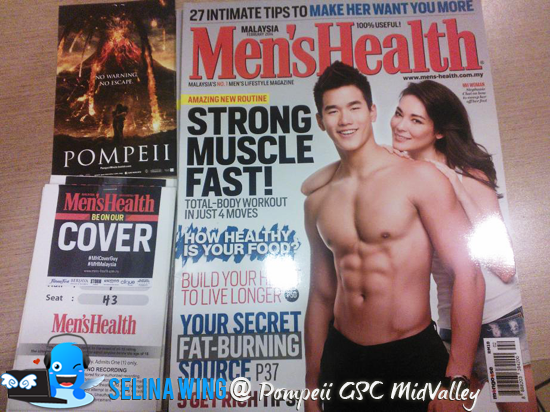 For me, it is good story for the couple who are watching this movie! 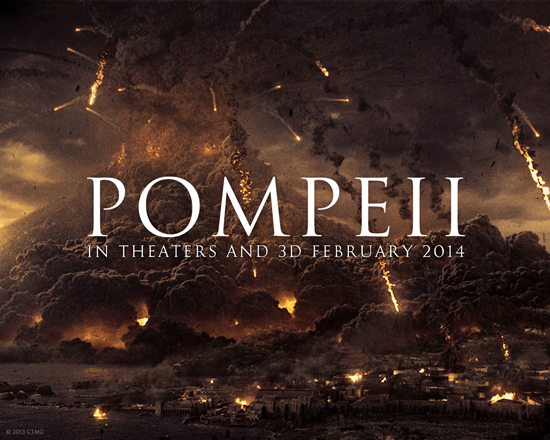 As you know, Pompeii movie is covering a story about the gladiator, romantic love, and volcano hit the Pompeii city. The love story just added in this Pompeii movie, as it can make you to feel the emotional when you lose your special person who you loved so much. In reality, Pompeii have the stadium "Gladiator", which is popular in the history. There are no safe place for Milo and Cassia, because no enough time for them to escape to the hill and mountain. Same for the port ships too. It is really worst as natural disaster for the Pompeii citizens. It was hit by floods that covered it in sediment and rubbish in the fifth century AD. That is why everything are buried so deeply by the volcano, then Pompeii become forgotten city by Roman and everyone around the world during that time! It remained silent for 1700 years, until we discovered this history! Why Roman cannot recovered the Pompeii? I guess that they cannot do it because during the AD century time, they were in the war and focus on their own of city to become famous, due to their economic need to be improved? If you interested to read this history, please read more information about the Wikipedia: Pompeii. Surprisingly, it get to attract the almost two-and-a-half million tourists visit the Pompeii in Italy on every year. Still, Italy government support the archaeological funds help to recover the city of Pompeii is one of the most popular tourist attractions in Italy.